How much do the low frequency chaotic intrinsic variability (LFCIV) and the Atmospheric Forced Variability (AFV) account for the regional sea level changes and its causes? William is a post-doctoral researcher working at LEGOS located in Toulouse, France. His research interests are investigating sea level change at global and regional scales. William particularly focuses his investigations on interannual to long-term changes. The main scientific questions of his research are: how is sea level changing? And why is sea level changing? To answer these questions, William takes advantage of in situ and remote sensing observations along with numerical models to quantify the sea level evolutions and to investigate the underlying mechanisms at work in sea level changes. His initial research interests were focused on estimating the respective contributions of the observed sea level rise from satellite altimetry to assess and close the sea level budgets at global and regional scales. 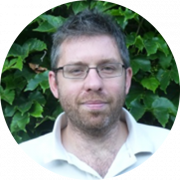 During his different post-doctoral experiences (JPL/NASA – 4 years; CERFACS – 2years and the University of Bristol), he also investigated the contribution of atmospheric forcing on regional sea level changes observed from satellite altimetry since 1993. Recently, his research topic is devoted to understand and quantify the respective contribution of intrinsic ocean variability to the regional sea level changes since 1993. The main objectives of the OVALIE project are to quantify and partition the oceanic intrinsic variability versus the atmospheric forced variability from the sea level change and its cause at regional and global scales. The OVALIE project aims to reduce the signature of the intrinsic variability in the observed sea level time series (satellite altimetry, in situ measurements and GRACE data). Hence, the aim is to remove the oceanic intrinsic variability from satellite altimetry data and in situ observations to better ascertain the atmospheric forced oceanic response and therefore, quantify with a better accuracy the regional sea level change due to the actual global warming. Finally, the OVALIE project aims to provide new assessment of inconsistencies induced by the intrinsic variability on sea level budgets. Llovel W., Penduff T., Meyssignac B., Molines J.-M., Terray L., Bessières L. and Barnier B. (2018), Contributions of atmospheric forcing and chaotic ocean variability to regional sea level trends over 1993-2015, Geophysical Research Letters, 45,https://doi.org/10.1029/2018GL080838. T. Penduff, W. Llovel, S. Close, B.-I. Garcia-Gomez, G. Sérazin, L. Bessières and S. Leroux, Trends of coastal sea level between 1993 and 2015: roles of atmospheric forcing and oceanic chaos, Survey in Geophysics, under review. N. Kolodziejczyk, Llovel W. and E. Portela, Interannual variability of upper ocean water masses as inferred from Argo array, Journal of Geophysical Research – Ocean, in revision.